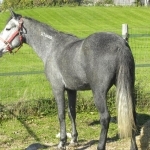 But surely it will change the world...for that one horse." 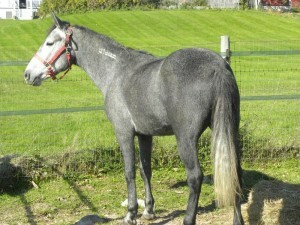 In October of 2010, we were visiting a local horse dealer looking for any horses in need. 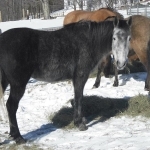 We found an Oldenberg mare that was blind in one eye and needed our help. 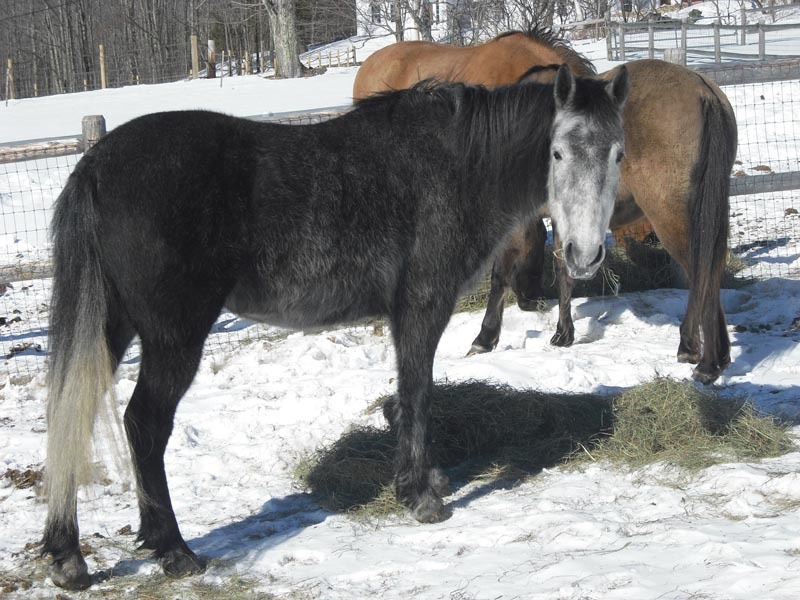 As we finalized the plans to get the mare back to our farm, a trailer pulled in and off-loaded a single BLM mustang. She looked like a broken horse. Underweight, malnourished, dehydrated and with terribly overgrown feet, we knew her fate lay in our hands. Her eyes were full of sadness. She was only 4 years old and had been abandoned in a field to fend for herself for 6 weeks while the owner moved out of state. 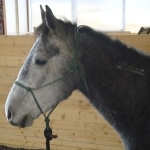 Horses with Hope could not leave her. So, we walked her from one trailer and directly onto ours. Once back on the farm, we realized how much she had to offer. 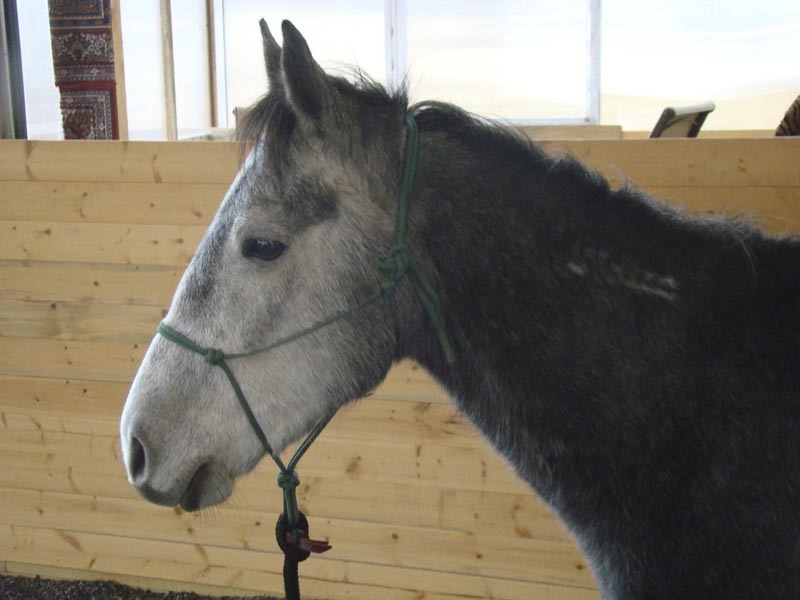 We name her Kiya which means "to fly" in Lakota, trusting that one day this little horse would find her wings. She was friendly and trusting with an "old soul" personality and was clearly looking for her human soul mate. 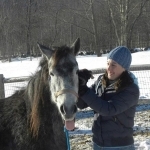 After some wonderful months of working with Kiya, we were able to find the right home for her. 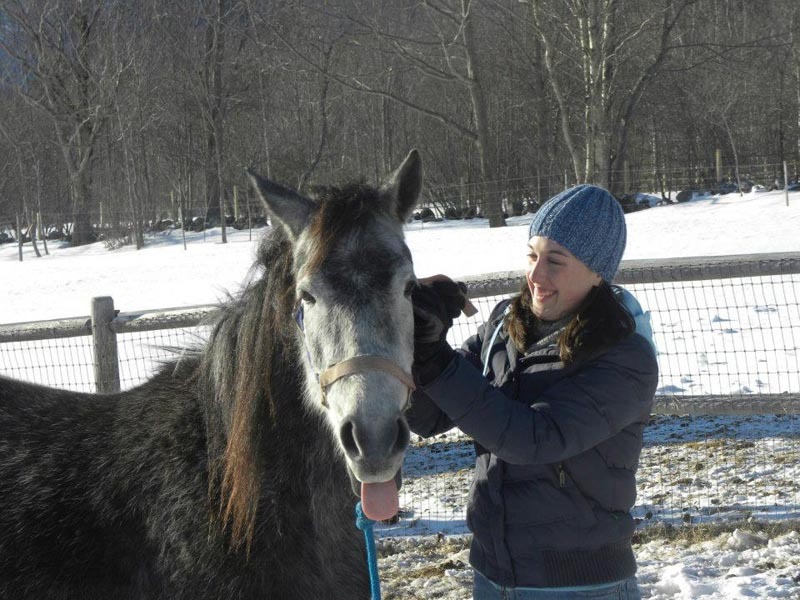 She is now flourishing in New Hampshire with her human soul mate and a herd of her own. Everyone deserves a second chance.